COMMENTS: They are great for lip gloss but I also use them to keep asprin in,tucked in my purse . COMMENTS: Love this little jar for my lotion/cream samples. Also is great that the top is attached. Very easy. COMMENTS: I like these containers. I often misplace tops to jars when I am cleaning them, don't know how. Having these little jars eliminates that problem. "1/4 oz LDPE Polycon - Natural"
COMMENTS: I LOVE these little containers, they are Very easy to fill and for Perspective Customers to get the product out of! My New Faves!! COMMENTS: This is a great size for samples or lip balms for sure! I use it as my scent jars for my soaps. I like how the pop open but can be closed to preserve the smell. COMMENTS: I ordered these to use for samples for my beard balm and lotion bars. They are small, but just perfect for throwing in free samples in my orders. "I would add what size opening it is in mm"
COMMENTS: This is the perfect size for ones purse, a dipper bag, a desk draw. without taking up to much room. I love that the lid is attached so you can't lose it. I plain on getting more. "useful to give small samples"
COMMENTS: We used black but switched to natural because customers wanted to see their samples before choosing. We didn't allow them to open the black ones for sanitary reasons so the natural polycons eliminate that issue. COMMENTS: I love these! I have been using them to give samples of my lotions out! I will be ordering more soon! These are a must buy! I have also thought about using them for lip balms as well! COMMENTS: Don't over fill! Squishes out of the sides when you go to close it & looks tacky when reopened! 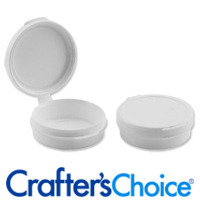 COMMENTS: Convenient size with a snap lid...great for lip balms, no worry about them opening in a purse. "Best container for mailing samples"
COMMENTS: I just happened to come across these containers when looking for something to ship samples of lotion with my orders. Other containers leaked, so I tried this one based on other reviews. I love it! Very easy to use and secure closure. It is a little hard to open, but I do feel that it makes sure nothing will leak out in transit. I'll definitely order this one again! COMMENTS: I love this product. It is a task trying to open but not too bad. I guess this is a good thing I wouldn't want the product to spill out. COMMENTS: Just what I have been looking for to offer samples. Currently I am using them for lotion samples and they work great. And they are soo cute! Definitely need more of them. "Great for sample sizes "
COMMENTS: These are great for making up sample sizes of products, for customers who don't want to invest in a larger size without trying first. If you're mailing these you might want to secure the hinged cap with tape to ensure it doesn't open up along the way. They are easy to use and simply snap shut. COMMENTS: These do not leak!!! I'm happy I finally found something that worked for my samples when I'm on the move. 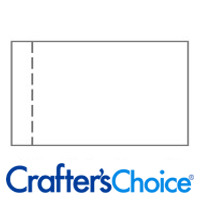 COMMENTS: I love these so much - they are great to use for samples! COMMENTS: I use these containers as a sample size container when sending out lotion, foot scrub, body butter, lip balm , or lip gloss. These are my "go to" containers when I need something small. "Lip Balms and eye makup"
COMMENTS: This product is best for Lip balms and color. I even used it for eye colors. It makes excellent testers for products like lotion and body butter. COMMENTS: These are perfect for my cuticle salve. COMMENTS: These are the perfect little size for purse lip balms ! "Not Just For Lip Balms"
COMMENTS: I actually use these to give out as samplers for my lotion butter product. I love that they are light weight, easy to use and fill, and allows your customer to see exactly what they are getting. The attached lid is also a nice feature too!! COMMENTS: We take these to shows with us so that if customers want to try something in the comfort of their own home they can take home a sample to do just that. Love! COMMENTS: These are absolutely perfect for tester samples. I've attached them to a little description card at events and never have to worry about losing the lids or product drying out. I love these! I'm even going to use them in a lotion giveaway for grab bags at a fundraising event. "I LOVE these little pots!" COMMENTS: I purchased these cute little containers for cosmetics. They are the perfect "between" size; smaller than the typical one ounce and larger than tiny sample sizes. The lids snap very firmly and I have not encountered any leaking thus far. I have noticed after repeated openings and closings that the lids will become looser and may pop open so I would not recommend liquids. When using as lip gloss/balm pots be sure that your product is not too hot when pouring. 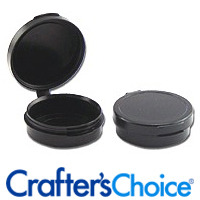 They also make great containers for pills, tiny beads and other small objects. "What is "natural plastic?" What does that description mean?" Staff Answer "Natural" for this product is in reference to the color. It's a cloudy clear color. "How would you label these? I prefer to add an ingredients list to my samples but these are so small I don't think that's possible. What size label would you recommend? Thank you!" Staff Answer What you might want to consider is placing this polycon in a small zip bag which can be labeled. You can place a small round label (1") on the top of the polycon with the product name and then label the ingredients on the outside of the bag. "Do these open and close easily?" Staff Answer Yes, these open and close easily.